When we visited my family in November my ever talented niece Anna blew me away with a delicious loaf of bread. It was crunchy, it was chewy (in a good kind of way) and it was delicious. It looked like it came out of a specialty bakery, but she assured me it was easy to make. I had to know her secret! 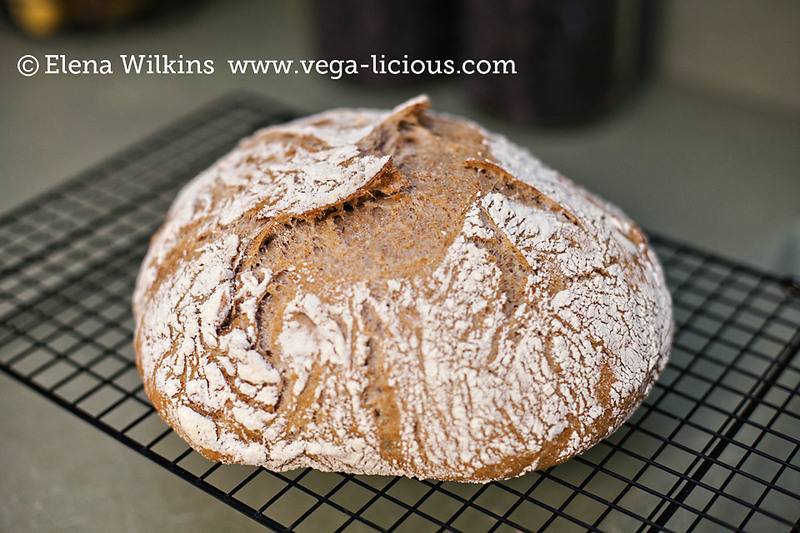 While she shared her wisdom, the loaf she made was created with white flour (it was airy and fluffy like an afternoon cloud); I had to make some changes to make this bread as close to whole wheat as possible. 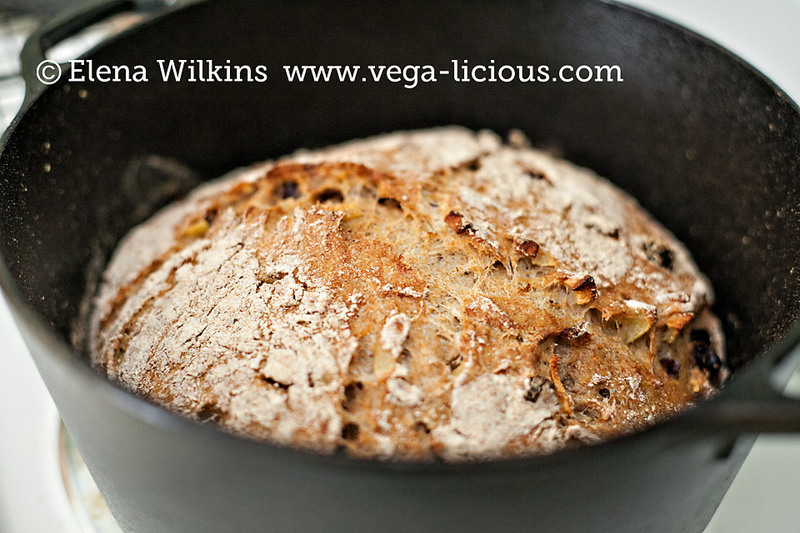 There was only one catch–all no knead recipes called for a Dutch oven. Since I already have all the pots I will ever need, and would not be using a Dutch oven for anything but baking on occasional loaf of bread, spending $100-200+ on one made no sense. After a couple of weeks of searching and help from BBP boot campers, I settled on a 5 qt. 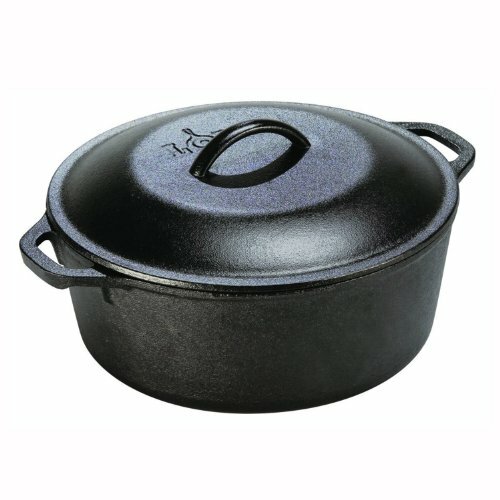 Lodge Cast Iron Dutch oven and got it for only $33! 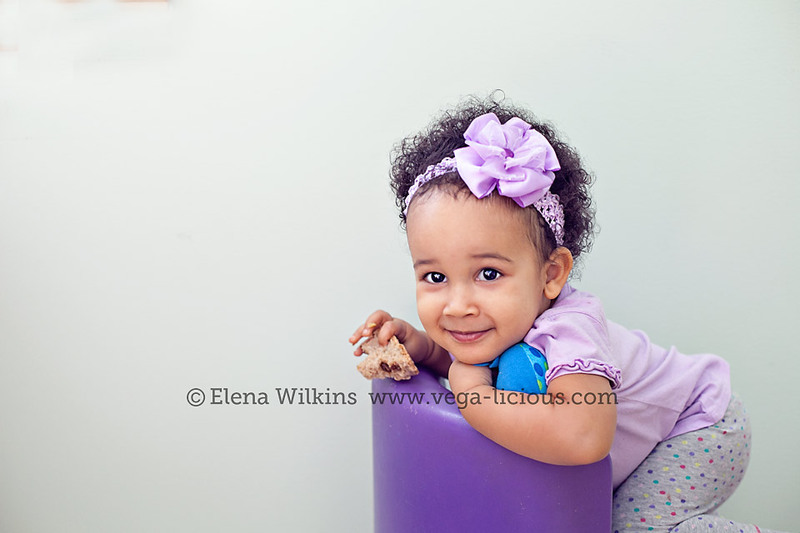 The recipe is EASY to make–even a novice baker can whip up one of these–I actually think that Sprout will be easily baking this by the time she is 4 :). And, according to this site, a loaf like this ends up costing only about $0.80! Can’t beat that! 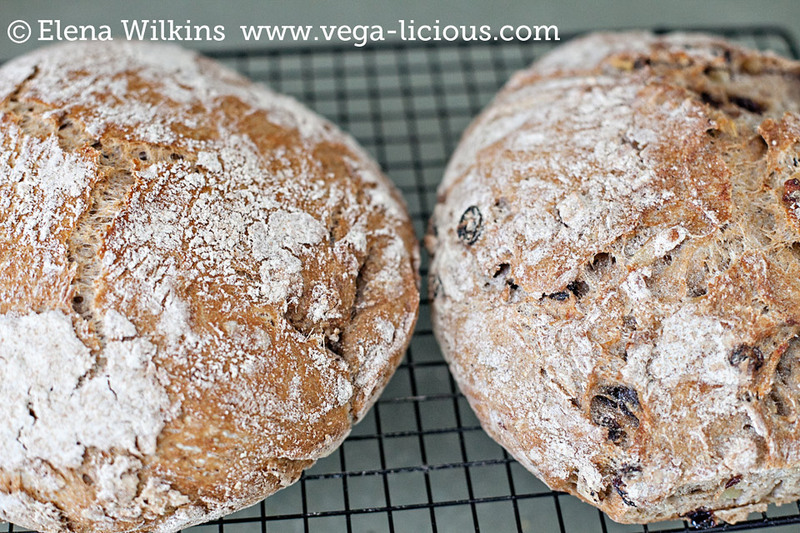 There is hardly anything better than homemade whole wheat bread with a very crunchy crust. If I did not hold myself back, I could eat a loaf all by myself. I recommend self restraint when you make this recipe for yourself. add water, and mix everything with a spatula--the mixture will look moist and sticky--but that is ok! cover the bowl with either plastic wrap or a lint free towel and set on a counter for 12-18 hours (I let mine sit for 15 hours). 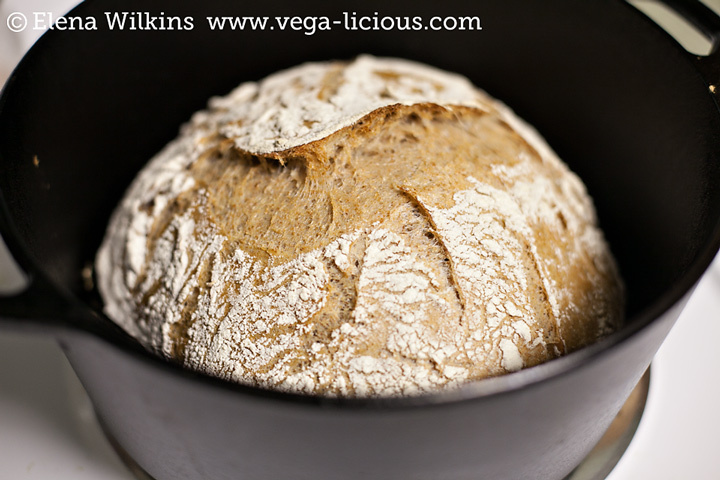 If you want an loaf of bread in the morning, get your dough ready the night before! 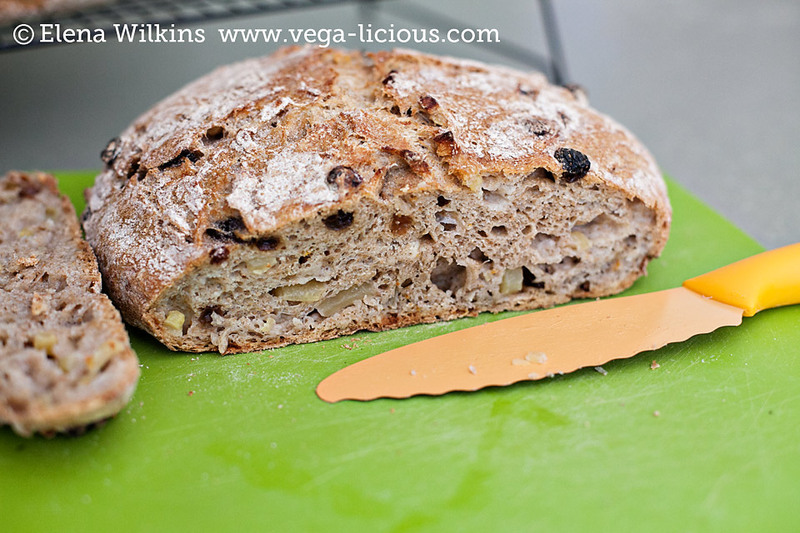 let it cool for 40-60 minutes before devouring it, otherwise bread will be gummy if you cut into it too soon. 2. **my niece sifts her flour twice before mixing it in with other ingredients. She insists it adds to how fluffy bread would turn out. I tried it both ways and think that sifting made a slight difference. 3. I mixed my dough late at night, so no prep images (sorry!). I will try to remedy this situation the next time I am making a loaf. If you want to see how the dough should look, visit Crusty Bread post. 4. You can add any assortment of ingredients: seeds, nuts, dried fruit, herbs, etc., to this recipe and it will come out very delicious. To satisfy Hubby’s sweet tooth, I made apple raisin variation, without adding any sugar (except for the teaspoon to help dough rise better). It came out fabulous! 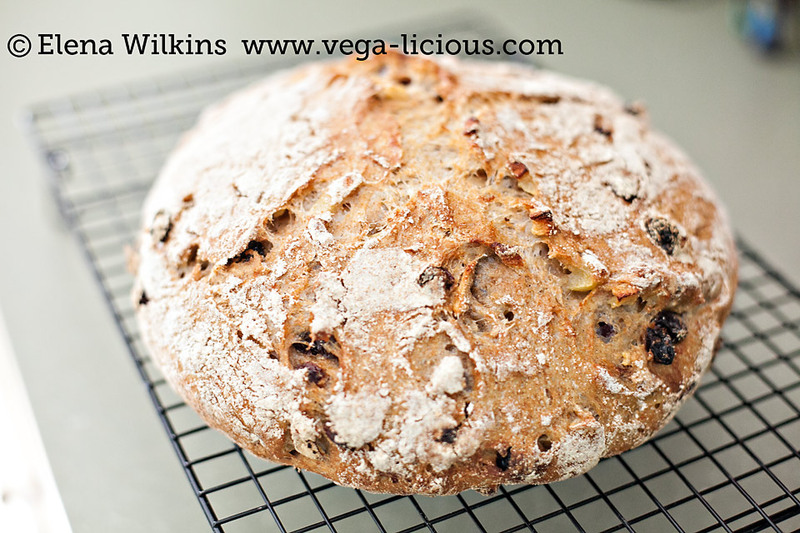 Both, Hubby and Sprout, could not keep their hands off it the moment I took it out of the oven. Luckily I even caught one of the thieves in action. Want dessert but don't want the extra calories? This bread will give you the satisfaction you need for your sweet tooth. 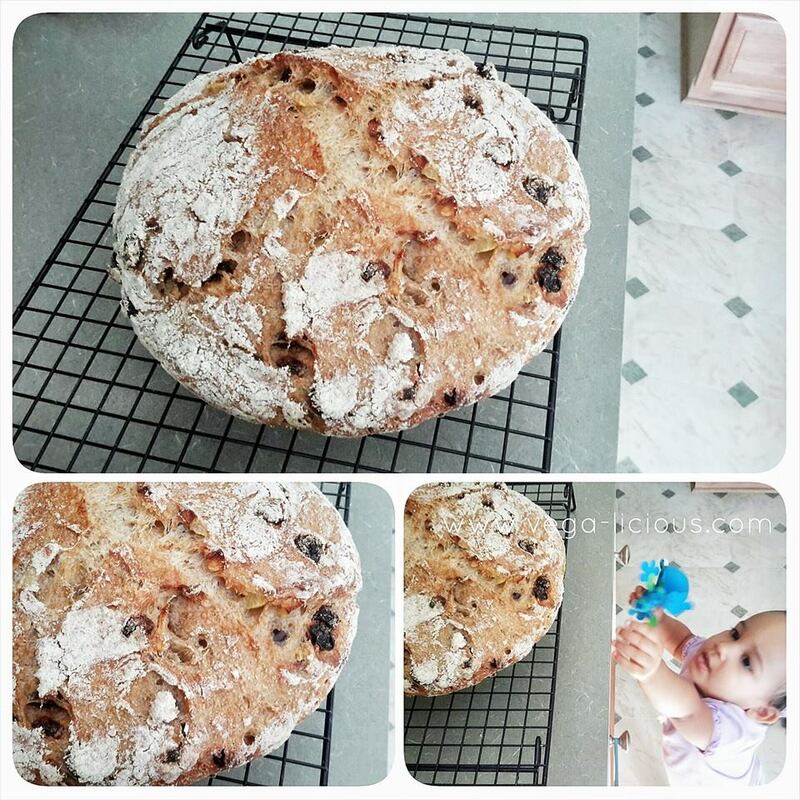 My little munchkin LOVED her couple of slices of Apple Raisin bread and kept calling it “cookie”. Let me know if you make a loaf (or two), and if you make any variations of this recipe. Spread bread love! Share this recipe on the web, through email and any other way you can imagine! Enjoy! Now you can feel like a professional baker! Give it a try! Let me know what you use to make this recipe.